18.04.18 19:21;Account;Receive;Received Payment 1.43 USD from account U16345669 to account U1294000. Batch: 211936860. Memo: API Payment. Withdraw to allhyips from Crypto Mercury LTD.
18.04.18 08:25;Account;Receive;Received Payment 11.4 USD from account U16345669 to account U1294000. Batch: 211881402. Memo: API Payment. Withdraw to allhyips from Crypto Mercury LTD.
24.04.18 21:10;Account;Receive;Received Payment 1.2 USD from account U16345669 to account U1294000. Batch: 212481316. Memo: API Payment. Withdraw to allhyips from Crypto Mercury LTD.
01.05.18 08:02;Account;Receive;Received Payment 1.2 USD from account U16345669 to account U1294000. Batch: 213066053. Memo: API Payment. Withdraw to allhyips from Crypto Mercury LTD.
05.05.18 06:01;Account;Receive;Received Payment 1.2 USD from account U16345669 to account U1294000. Batch: 213760835. Memo: API Payment. Withdraw to allhyips from Crypto Mercury LTD.
10.05.18 20:43;Account;Receive;Received Payment 1.2 USD from account U16345669 to account U1294000. Batch: 214330613. Memo: API Payment. Withdraw to allhyips from Crypto Mercury LTD.
20.05.18 10:25;Account;Receive;Received Payment 1.2 USD from account U16345669 to account U1294000. Batch: 215246101. Memo: API Payment. Withdraw to allhyips from Crypto Mercury LTD.
22.05.18 20:02;Account;Receive;Received Payment 1.2 USD from account U16345669 to account U1294000. Batch: 215487615. Memo: API Payment. Withdraw to allhyips from Crypto Mercury LTD.
29.05.18 10:15;Account;Receive;Received Payment 1.2 USD from account U16345669 to account U1294000. Batch: 216107954. Memo: API Payment. Withdraw to allhyips from Crypto Mercury LTD.
02.06.18 11:39;Account;Receive;Received Payment 1.2 USD from account U16345669 to account U1294000. Batch: 216822898. Memo: API Payment. Withdraw to allhyips from Crypto Mercury LTD.
07.06.18 21:15;Account;Receive;Received Payment 1.2 USD from account U16345669 to account U1294000. Batch: 217334771. Memo: API Payment. Withdraw to allhyips from Crypto Mercury LTD.
13.06.18 20:18;Account;Receive;Received Payment 1.2 USD from account U16345669 to account U1294000. Batch: 217900149. Memo: API Payment. 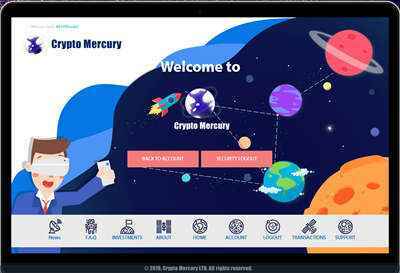 Withdraw to allhyips from Crypto Mercury LTD.